Working out comes with boundaries. If you are new to the workout game, and even if you are a regular, there are mistakes that can be made that can cause injury and other issues. Working out works a lot of different muscles groups and parts of the body, which can easily be overworked, strained, or more seriously injured if not cautious about the workouts you are doing and how you are doing them. Just like many other things in life, working out comes with instructions and proper ways to do such workouts. Following these instructions can help ensure you don’t injure yourself, allowing you to keep up with your fitness routine. The best way to ensure you know how to properly execute different workouts is to go to a place where you can get expert advice. At BodyPlex Fitness, we are proud of our knowledgeable team. Our people have experience and knowledge about fitness and the body. We know the best workouts, how to do them properly, and the best ways to avoid injury. Our teams goal is to help our members reach their goals. We help be giving them information on different workouts, leading them through challenging classes, and motivating them until the very end. Workout mistakes are easy to make, but hard to recover from. 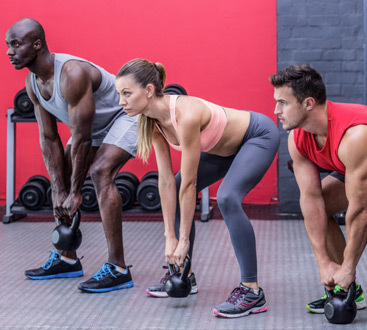 In this blog, we will cover some of the most common workout mistakes and how to avoid them—stay safe while you workout and keep working toward your goals! Starting a workout without warming up first is one of the worst things you can do. According to Tilita Lutterloh, a strength and conditioning coach, in a Romper article, your body needs to gradually prepare for a workout, get blood flowing to the muscles and joints, and increase heart rate. A good way to start a workout is to warm up the areas you plan on targeting that day, whether it is arms, legs, or whatever else. This can help you avoid injuries easier and reduce your chances of pulling or straining your muscles. If you are going for a run, start by speed walking until your muscles loosen up. If you are lifting weights start by lifting a small amount just to get the blood flowing and your muscles less tense. This will help your muscles, tendons, and ligaments elongate, helping to avoiding injury. According to JAG Physical Therapy, not warming up before a high intensity workout can cause your body to feel fatigued quickly, making your workout more challenging. They suggest an easy warm up, such as jumping jacks, arm circles, or marching in place. Warming up in important to getting your muscles and body ready for an intense workout. But stretching is meant to help before, during, and after your workout. Stretching allowing your muscles to become more flexible. When you and your muscles increase in flexibility you are less likely to get an injury. Your muscles have a reduced chance of tearing and your range of motion increases. Stretching should be done often throughout your workout. Before, during, and after workout stretches can help you feel better throughout your workout and the next day, reducing your soreness. 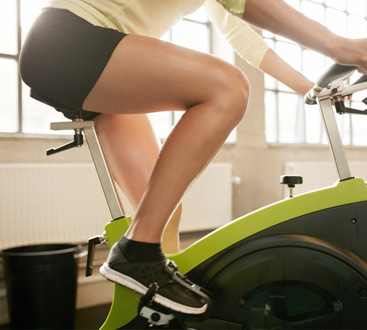 When you start working out, you may feel motivated and excited about your new health kick. But jumping into workouts and pushing yourself too hard when you just started can put you at risk of injury. The best way to workout once your start is to start easy and gradually increase as you begin to progress. Add more weight, workout longer, run further, and challenge yourself a little more as you begin to see changes. Don’t go into the first workout expecting to bench 150 pounds. Start with smaller amounts of weight and easier workouts, this will allow you to progress, get the proper form down, and figure out your limits before adding more of a challenge. A few ways to tell you are making progress other than by constantly checking what the scale says include being able to increase reps, sets, and range of motions, and decrease the rest time in between sets. Overdoing your workouts can also lead to muscle strain and burnout. Pushing yourself too hard can put extra stress on your body, which can increase your chances of getting injured. Not only should you start gradually and push yourself as your progress but your should also allow yourself to rest. Your body needs to recover. Allowing your body and muscles to fully recuperate between workouts will have a better results and allow your workouts to become more productive. Proper form and techniques are important to making sure you don’t get injured. Incorrect moves can tear muscles, injury your joints and muscles, and add wear on your body over time. When you are working out make sure you know the proper forms and techniques, and if you don’t ask a professional. Many times, you may know the correct form but when you do it with too much weight you lose that form and increase your chance of injury. So be sure you know the correct techniques and never try doing exercises with more weight than you can handle. Also be aware of your spine. Keeping your spine straight and in alignment is important to keeping yourself free of injury. Hurting your spine or tweaking your neck can cause injuries that you may not even notice until it’s too late. These may also be more difficult to heal from. Working out comes with a lot of knowledge and technique. To ensure you stay safe and get the most out of your workout you need to make sure you know what you are doing! Ask a professional if you don’t understand proper form, never lift too much weight, and start out slowly. At BodyPlex Fitness, we have experts who can help you learn the proper techniques and that can help you reach your fitness goals. Learn more and become a member today!